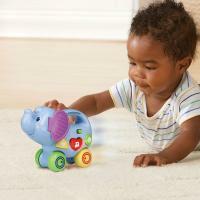 I'm an elephant, Let's go and explore and meet my friends! 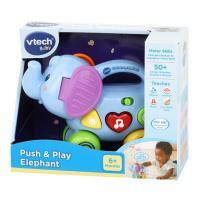 The Pull & Play Elephant by VTech® is a playful interactive elephant friend your child will love! 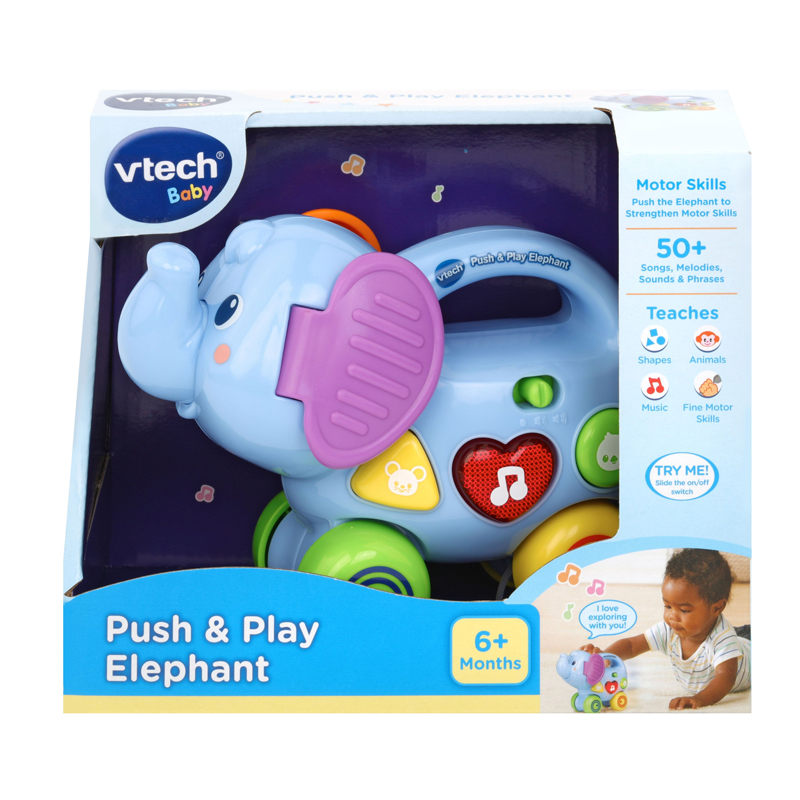 Press the 3 light-up buttons to learn about colours, shapes and numbers or spin the animal spinner to learn fun animal facts along with their characteristics. 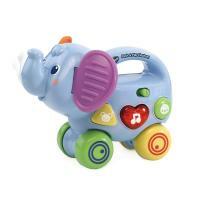 Pull the friendly elephant along to hear lots of music, fun sounds and watch his ears flap up and down! 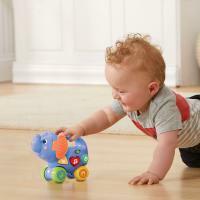 Includes lots of manipulative play; sliding & twisting animals, roller ball and wobbly bird! Includes 3 sing-along songs and 15 melodies. Encourages language development, imaginative play and motor skills.